If your home is your haven, the backyard should be your respite! After hearing your vision we work to make sure your dreams come true. Whether envisioning the best hosting spot for a party or gathering, to the most peaceful private escape from the world, we can create the "face lift" to your home that you need. Adding an outdoor walkway and/or patio can transform a backyard. If you conceive it, we can achieve it! Being that we have an inhouse General Contractor on hand, we are glad to offer full design and construction services to create outdoor patios and walkways. If you have a landscape architect we are willing to work together to ensure that your patio perfectly complements your landscape design. 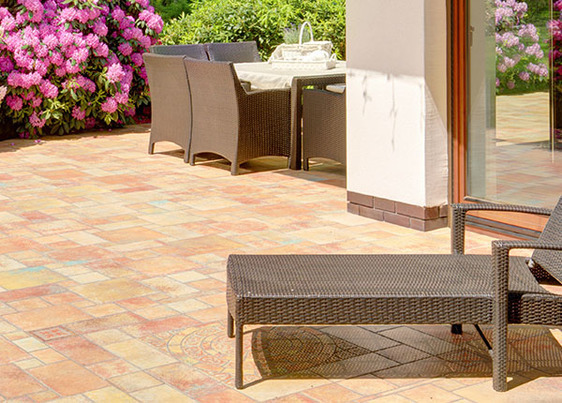 Several options are available to fulfull those beauty needs that include: a rated porcelain, concrete, brick pavers, slate or any natural stone.